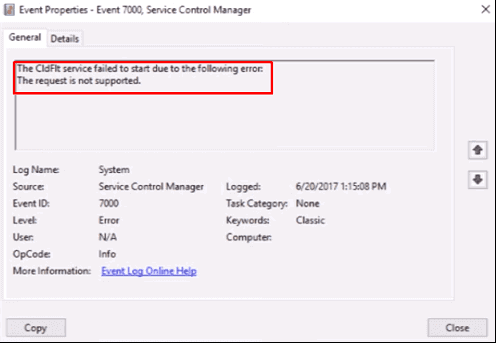 Cldflt Failed to Start Error is concerned to Event Viewer. After going into the depths of the Event Viewer, you may notice that Event id 7000 gives full information about this issue. This Windows log showcases the entire detail of this problem. Cdflt is a system driver that gets into the action as soon as the system gets ready for action. Making some manipulations in the registry entries will definitely help in fixing the error.